"To succeed in today's world organisations need to keep their governance approaches as straight-forward and coherent as possible." Lynelle Briggs is a member of the Board of Maritime Super and Goodstart Early Learning. She is the Independent Chair of the General Insurance Code Governance Committee. Lynelle recently completed her term as Chairperson of the NSW Planning Assessment Commission. Lynelle was formerly a member of the Australian Rail Track Corporation Board and the Council of the Royal Australian College of General Practitioners. She was also Chairperson of ASIO’s Audit and Risk Commission and Chairperson of the Jigsaw Theatre Company Board. She has chaired the Shipping Workforce Development Forum, the Inquiry into Compliance, Work Health and Safety Laws in the ACT Construction Industry, and the Catholic Development Fund Steering Committee. She was the Independent Project Facilitator for the Millers Point Accommodation Project. 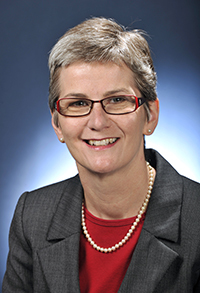 During her executive career, Lynelle Briggs was Australia’s Public Service Commissioner and Chief Executive of Medicare Australia. Lynelle has extensive experience over 30 years in the Australian Public Service, working in a wide range of fields including social security, health and community services, transport, external territories, employment and labour market support and veterans’ affairs. She was closely involved in unemployment and retirement incomes policies, health care agreements, transport and infrastructure policy, private health policy and health care delivery. In the mid-1980s Lynelle was a policy adviser to the Minister for Community Services before spending two years working for the New Zealand Treasury. His areas of professional policy expertise include natural resource and environmental management; climate change and energy policies; macro, financial and international economics and policy; international organisations (especially G20); institutional design and governance; and public-sector management and reform. He is a strategic and integrated systems thinker, has extensive experience in Asia and overseas, and actively increased diversity and capability in public administration.Gordon has over 30 years' experience in public policy and administration. He was Secretary of the Department of the Environment and Energy from 2013-17, following senior positions in the Prime Minister's Department (2008-13, including as G20 Sherpa from 2010-13), Treasury (2003-08), Australian National University (as Professor of Economics, 2000-2002) and Reserve Bank (1991-99). Gordon is a Fellow of the Institute of Public Administration Australia and was President of the ACT Branch from June 2016 to Sept 2017. He is on the Advisory Council of the 50/50 by 2030 Foundation, and is a Public Policy Fellow at the ANU and Adjunct Professor at the University of Canberra in the Institute for Governance and Policy Analysis. Gordon facilitates an Executive Learning Group as part of the Jeff Whalan Learning Group and coaches and mentors individual senior executives. He received a Public Service Medal in 2011 for his work on the G20, and was made a Knight in France's Legion of Honour in 2013 for G20 and public service. He has a doctorate in economics from the Australian National University. Vanessa is currently a non-executive director of two national not-for-profit organisations and serves on the Canberra and Southern NSW Advisory Board of a further national not-for-profit organisation. 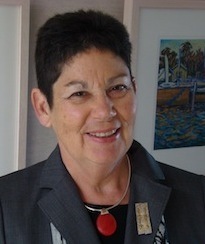 She has previously served as a non-executive director on a number of Federal Government Boards including the International Air Services Commission, the Australian Rail Track Corporation and the Council of the Australian National Library as well as having served as an external advisor to a number of public sector audit committees. In addition to her interest in governance, Vanessa mentors senior management executives in the public sector and non-executive board members in the not-for-profit sector and is an internationally and nationally accredited executive coach. Vanessa's mentoring and coaching work focuses on robust and transparent governance, on the leadership and management of change in organisations and on driving superior performance focused around the requirements of stakeholders and clients. Vanessa has been the Managing Director and CEO of a national Government Business Enterprise in the health sector with a multi-site presence in all states and over 750 multidisciplinary professional staff, a position that she held for 7 years. Vanessa's career in management has spanned both the private and public sectors, and profit and not-for-profit organisations, including 12 years as a Division Head in the Commonwealth public service in the transport and communications portfolios and two years at top management level in a large private publically listed company in the private sector. In addition to her high level policy, negotiating and commercial experience she has had an overseas diplomatic posting and led numerous international negotiations. Qualifications: B.A. (Melb); B.Ec. (ANU); PhD (ANU); Fellow Australian Institute of Management and Leadership; Fellow Australian Institute of Company Directors. Greg Fraser is a former Chief Executive of the ACT Department of Health and Community Care. 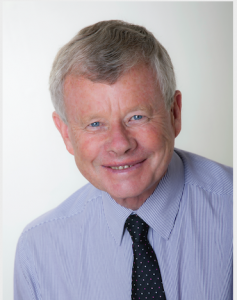 He has acted as Chief Executive of the ACT Department of Environment Land and Planning. Greg led major change in agencies providing services in health and community care, environment and conservation, sport, heritage and museums, arts and festivals, community services and housing, public sector budgeting and finance, corporate policy and coordination and corporate services. Greg provides consulting services to the public, private and not for profit sectors in the areas of corporate governance, risk management, organisational performance improvement, program review and evaluation and strategic and business planning. Greg has extensive experience developing and reviewing governance and risk management frameworks and processes and in developing and delivering governance and risk management training for Boards and executives. He also undertakes efficiency and effectiveness reviews of Commonwealth Government programs. Greg has served on several corporate, public sector and not for profit boards and committees and is currently Vice President of Alzheimer’s Australia ACT and a member of the national Board of Alzheimer’s Australia (including chair of its Finance and Audit Committee), the Board of Palliative Care ACT and the Finance and Audit Committee of the Australian Council for International Development (ACFID). Peter Grey is the Chairman of MLC Ltd. He is also Senior Adviser for International Business Engagement and Co Chair of the Japan Business Group at Corrs, Chambers Westgarth. Peter is a former senior diplomat, trade negotiator and public servant. Peter was Ambassador to Japan, the European Union, the World Trade Organisation (WTO), and the first Ambassador for APEC. Peter was appointed Deputy Secretary of the Department of Foreign Affairs and Trade (DFAT) in 1994 where he had a particular focus on trade policy and negotiations, and bilateral relations with Asia, Europe and the Americas. He was also CEO of the Australian Trade Commission (Austrade). And was Australia’s Chief Trade Negotiator for many years. Peter is a member of the “Commission on Regional Trade” established by the Asia Society Policy Institute in Washington DC. 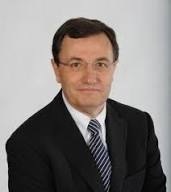 He is currently on the Board of the Asia Society, the European Australian Business Council; and the Executive Committee of the Australia Japan Business Cooperation Committee and the Australia Korea Business Council; and is a member of the Centre for Strategy and Governance in Canberra. Peter has a Bachelor of Economics (Honours) from Sydney University and a Master of Business Administration from Stanford. He is a Member of the Australian Institute of Company Directors. Bruce Glanville has over 40 years’ experience as a Chartered Accountant, serving as a lead Partner in major Accounting Firms, including as former Canberra managing partner of Deloitte. His management roles have included responsibilities in Asia Pacific and Australasia including leading a team of professionals in Asia. His professional engagements have included those related to Mergers and Acquisitions, Corporate Structuring, Business and Regulatory (including Taxation) advisory, Business Management, Commercial Valuations and Expert Reporting, including providing evidence to Courts and Tribunals. Bruce holds registrations as company auditor, registered liquidator and tax agent. He holds or has previously held appointments as Director (often Chairman), in companies engaged in a wide variety of commercial activity, including ASX Listed, Non-listed Public Companies. Government Business Enterprises and private companies. Commercial activities of the companies include, open cut coal mining and hard rock quarrying, totalisator agency, grocery and liquor distribution, mezzanine financing, indigenous business, abattoir operation, leisure industry, remote Australia construction and property development. Jeff Harmer has been the Secretary of two large Commonwealth departments: the Department of Families, Housing, Community Services and Indigenous Affairs (FaHCSIA) and the Department of Education, Science and Training. Prior to that, he was Managing Director of the Health Insurance Commission (now Medicare Australia). His career in the APS has included senior positions in the departments of: Finance; Housing and Regional Development; Community Services and Health; and Social Security. In 2008-2009, Dr Harmer led a review of the adequacy of the Aged Pension and Disability Support Pension in Australia. He was also a member of the panel, chaired by Dr Ken Henry, to review Australia’s Future Tax System. In 2009, Dr Harmer was the inaugural Australian Institute of Chartered Accountants Australian Government Leader of the Year and in 2010 was appointed an Officer in the Order of Australia (AO) for the significant achievements in his public service career, particularly his leadership of key policy initiatives such as programs for housing assistance, child support, mental health, disability, health insurance reform and initiatives for Indigenous Australians. Dr Harmer has a PhD in Economic Geography and currently holds the following positions: Director of the Capital Health Network in the ACT; Director of the John James Foundation; Director of The Smith Family; ; Director of the Board of the Australian Housing and Urban Research Institute; Co Chair of the Ministerial Council on Childcare and Early Learning; Fellow of the Australian Institute of Management (FAIM); Fellow of the Institute of Public Administration Australia (FIPAA). He is also a Fellow of the Australian and New Zealand School of Government (ANZSOG).". Ken Matthews retired in 2010 as Chair and Chief Executive Officer of the Australian National Water Commission, a position he had held since March 2005. In this role, he was responsible for working with the State and Territory governments of Australia to implement the National Water Initiative Inter-Governmental Agreement and encourage national water reform. Mr Matthews was previously the Secretary (CEO) of the Federal Department of Transport and Regional Services from November, 1999 to October, 2004, and from February, 1998 to October 1999, was the Secretary of the Department of Agriculture, Fisheries and Forestry. During 1997, Mr Matthews headed the Australian Government's high level Wik Task Force in the Department of the Prime Minister and Cabinet, providing advice to the Prime Minister on Native Title. Mr Matthews' academic background is in economics, majoring in government (B.Ec. University of Sydney, 1974). Mr Matthews is a Fellow of the Institute of Public Administration - Australia and a Fellow of the Australian Institute of Management. Mr Matthews was awarded a Centenary Medal in 2001 for services to public administration. In 2005 he was appointed an Officer of the Order of Australia (AO) for services to regional communities, the national transport system and for his contribution to public administration in Australia. He currently serves on a number of boards (public sector and private sector) and is a consultant in the areas of public administration, water management, natural resource management and government policy. He has a background in science policy and inter-governmental relations. He has experience in governance, organisational leadership and board processes. John has held the statutory positions of Commonwealth Ombudsman (2003-10), Integrity Commissioner (Acting) for the Australian Commission for Law Enforcement Integrity (2007), Australian Information Commissioner (2010-15), NSW Ombudsman (Acting) (2015-17), member of the Australian Copyright Tribunal (2015-18), and member of the Administrative Review Council (2003-14). John is an Emeritus Professor at the Australian National University, where he taught administrative and constitutional law from 1983-2003. He is a co-author of Control of Government Action: Text, Cases and Commentary(2019, 5th ed). John is a National Fellow of the Institute of Public Administration Australia, a Fellow of the Australian Academy of Law, an honorary life member of the Australian Institute of Administrative Law, and a recipient of a Lifetime Achievement Award from the Society of Consumer Affairs Professionals. He was made an Officer of the Order of Australia (AO) in the Australia Day Honours List 2010 for his work as Ombudsman, academic and in professional societies. John has extensive experience in establishing offices and systems, publishing legal guidelines, conducting major investigations, and providing legal and policy advice. He established two offices (ACLEI and OAIC), and conducted independent reviews of other offices and government programs. As Ombudsman and Information Commissioner John published over 70 investigation reports, including the six volume NSW ‘Operation Prospect’ report on police corruption investigations to culminate the largest single Ombudsman investigation in Australia. Ian has had a close involvement with the accounting profession having been Deputy Chair of the Australian Accounting Standards Board (2009-2014), Chair of the Public Sector Accounting Standards Board (1992-1995), member of the Australian Auditing and Assurance Standards Board (1999-2008) and a member of the International Auditing and Assurance Standards Board (2002-2008) and is currently a member of the International Ethical Standards Board for Accountants. He has also been President of the ACT Divisions of CPA Australia (1997-98) and the Institute of Public Administration Australia (2008-10). Ian is a Fellow of CPAA, CA ANZ and IPAA, and a graduate of the AICD.Ian McPhee was Auditor-General for Australia between 2005 and 2015. Prior to that appointment, Ian was Deputy Secretary, Financial Management Group, Department of Finance. Ian held a range of other positions in his career in the Australian National Audit Office, the Australian Bureau of Statistics , the Department of Finance, and as a Director of the Australian Technology Group. Ian was awarded an honorary First Class Medal of Honour by the Government of Indonesia in 2009 and honorary degree of Doctor of the University of Central Queensland in 2012. Ian is currently an Adjunct Professor at the Australian National University. Ian has an enduring interest in sound organisational governance, policy development and performance. He is a non-executive director of Beston Global Food Company, a member of a number of audit committees and is undertaking governance reviews for the Australian banking industry and the ACT Government. Russell Miller advises government agencies and corporations on strategy and governance and issue resolution. He is the lead adviser to a Brisbane-based technology company and advises US and European corporations on government policy, trade policy, defence and competition strategy and compliance. He is the Chair of the Royal Australian Mint Advisory Board and a member of the NSW Independent Commission. He has advised Boards of a range of agencies and companies, including the Murray Darling Basin Authority, National Rail Corporation Ltd, Medibank Private Ltd and Dulux Group Ltd. He is a former Chair of major Australian law firm Minter Ellison. Russell was an adviser on the Access Card Project, the establishment of Centrelink and the Commonwealth-State National Rail Freight Corporation initiative. He has conducted reviews for a number of Ministers and government agencies, including, in 2015, a review of consultative arrangements for the Australian Taxation Office. His other government appointments have included the International Air Services Commission, the International Legal Services Advisory Council, the Minister for Trade's WTO Advisory Group and the boards of the Bureau of Meteorology and the National Electricity Code Administrator. Russell is a director of the Australian Academy of Law and a member of the Corporate Council of the European Australian Business Council. His not-for-profit work has included as a director of the Diamond Jubilee Trust Australia Ltd.
His published works include Miller's Australian Competition Law & Policy (Thomson Reuters 3rd ed 2018) and Miller’s Australian Competition and Consumer Law Annotated (Thomson Reuters 41st ed 2019). Lisa Paul was a Chief Executive in the Australian federal government from 2004 to 2016, most recently as the Secretary of the Department of Education and Training. 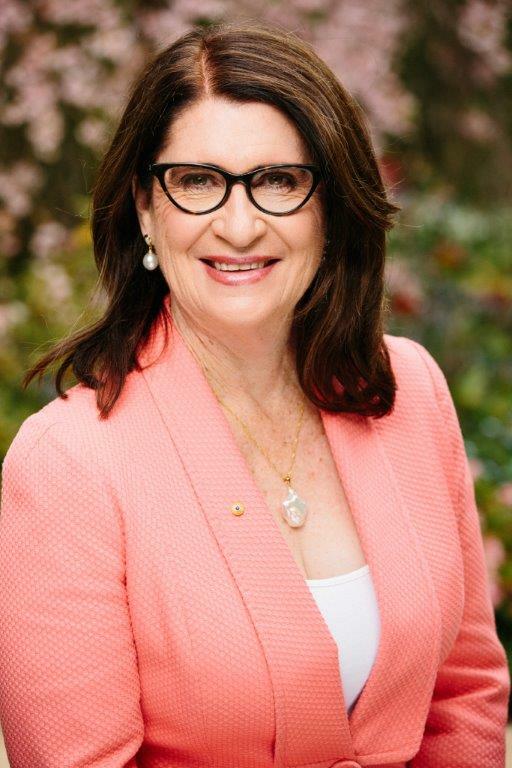 She currently serves on the Naval Shipbuilding Advisory Board as well as the Boards of Navitas, Advanced Personnel Management (APM), Social Ventures Australia, Australian Schools Plus, High Resolves, the Australia American Educational Leadership Foundation Ltd and the Australian Research Alliance for Children and Youth. Lisa is an Australian National University Policy Fellow, a Fellow of the Australian Institute of Company Directors, a Fellow of the Australian Council for Educational Leaders, National Fellow of the Institute of Public Administration Australia, a Fellow of the Australian Institute of Management, a member of Chief Executive Women and a Fellow of the Australian and New Zealand School of Government. She is also a delegate to the Australian Davos Connection. She is also an independent non-executive director of Bond University Limited. Lisa is a former director of the Programmed Group as well as a former member of the Advisory Board to the Melbourne Accelerator Program and Enterprise Professor-Public Policy at the University of Melbourne. John Simpson is a senior corporate executive and company director with more than 27 years in the private sector. Most recently, John was Strategic Adviser in the Office of CEO at National Australia Bank having also held the position as Group General Manager - Corporate Affairs. John spent the majority of his career with Shell - working in Australia, Asia and the United Kingdom. He was Director - External Affairs at Shell, and was appointed a Director of Shell Australia Limited in 2002 and Shell Energy Holdings (Australia) Limited the following year. John has a particular interest in education and serves on the Boards of the National Science & Technology Centre (Questacon) where he is Deputy Chairman, and of Scotch College where he has been a Director for 14 years. Throughout his career, John has had an interest in seeing the private and public sectors work more cooperatively and has worked to develop greater understanding in both sectors. He created a series of Shell seminars in Canberra specifically designed to improve knowledge within Government of the Upstream & Downstream energy sectors and within the businesses of the challenges facing Government. John is a Director of the Food Rescue organisation - SecondBite and a Trustee of the H V McKay Charitable Trust. He is on the Advisory Board of the Global Foundation and is Managing Director of consulting firm - Simpson Paterson. Meryl Stanton is a registered organisational psychologist. She was for seven years a non-executive Director of the not-for-profit company Australian Human Resources Institute (AHRI) Ltd) and Chair of its Audit Committee. Meryl is or has recently been an independent member on a number of governance and organisational change committees, and has undertaken organisational development reviews. She is a qualified Executive Coach, specialising in coaching and mentoring senior women. Meryl is a former senior public servant. She was Deputy Secretary, Department of Agriculture, Fisheries and Forestry and Executive Director of the then Australian Quarantine and Inspection Service. She had previously held a number of senior policy and service delivery positions in the APS in the workplace relations and occupational health and safety areas, including as CEO, Comcare. Meryl is a Fellow of the Australian Institute of Company Directors, the Institute of Public Administration Australia and the Australian Human Resources Institute. She was awarded the AHRI Medal in 2013. She is a founding member of the Centre for Strategy & Governance. Mike Taylor has held senior positions in the Commonwealth and Victorian public services for two decades, including as Secretary for the Commonwealth Department of Infrastructure, Transport, Regional Development and Local Government, and Secretary for the Department of Agriculture, Fisheries and Forestry. He recently retired from the chairmanship of the Murray Darling Basin Authority. He was awarded an Order of Australia in 2007 for his contribution to the management of natural resources and industry policy development at the Federal level and also in Victoria, particularly in the area of agriculture, and through contributions to transport, water, food and safety standards. Mike Taylor is currently Chair of the Geoffrey Gardiner Dairy Foundation, Director of the Melbourne University Business School, Director of the Bushfire Cooperative Research Centre, Member of the Australian Statistics Advisory Council and a Governor of the Crawford Fund. Mike Taylor has successfully worked with Government over an extended period. This has included working for two Prime Ministers (Messrs. Howard and Rudd), two Deputy Prime Ministers (Messrs. Anderson and Vaile), seven Commonwealth Government Ministers and many State Premiers and Ministers. At the Chief Executive level, Mike Taylor has been very successful in providing leadership and direction in large organisations, where he has effectively developed and implemented policy and program objectives, successfully facilitated large scale organisational change, adopted new and efficient administrative systems, professionally managed and developed people and teams, and delivered results and outcomes for customers and clients. Dr Vivienne Thom is a consultant in the field of public administration with a focus on integrity and governance. In her public service career she conducted many formal inquiries and complex reviews directed at identifying improvements to be made within organisations. In July 2015 Vivienne completed a five-year term as the Inspector-General of Intelligence and Security — an independent statutory officer agency head position in the Prime Minister’s portfolio responsible for the oversight of Australia’s intelligence agencies. Prior to this, Vivienne was Deputy Commonwealth Ombudsman with responsibility for the oversight of law enforcement, immigration, taxation and defence agencies. She was also the Chief Executive Officer of the Royal Australian Mint from 2002 to 2006. Vivienne’s academic background is in chemistry. After post-doctoral research and teaching, she joined the Australian Public Service in 1987 as a patent examiner. She qualified as a patent attorney and in 1999 was appointed as Commissioner of Patents. Vivienne also has a qualification in government investigations. As a former agency head Vivienne has first-hand experience of a wide range of public sector governance issues. She has chaired agency audit committees and has been an independent member on a range of other governance boards and committees. She is a Fellow of the Australian Institute of Company Directors and has been an ACT Division Councillor since 2009. Alan Thompson is a former Chief Executive of public sector departments and agencies. Over 22 years Alan was CEO of three Victorian Departments (Housing and Construction; Conservation and Natural Resources; and Justice), the ACT Department of Urban Services, the Auckland Regional Transport Authority, New Zealand Ministry of Transport, and finally the Department of Parliamentary Services for the Australian Parliament. Alan also led the Bushfire Recovery Taskforce in the aftermath of the disastrous 2003 Canberra bushfires. Alan has served on numerous government boards and inter-jurisdictional committees; notably Alan was inaugural chair of Melbourne Parks and Waterways, and he chaired the Parliament House Security Management Board. Alan currently serves on a charity board. He is a Fellow of Engineers Australia (EA) and contributes to EA through the Centre for Leadership and Management, and the Civil College Board and as Treasurer of the Transport Australia Society. Alan provides strategic advice to an international engineering consultant. Anthea Tinney is a non-executive director of the CRC for Contamination Assessment and Remediation of the Environment (CRC CARE) and Chair or independent member of a number of public sector audit committees. She was previously the Chair of the Sydney Harbour Federation Trust, Chair of the Australian National Commission for UNESCO and Chair of Land and Water Australia. She was the inaugural independent Chair of the Steel Stewardship Forum and a member of the Australian Government's Independent Communications Committee. During 2013 and 2014, Anthea chaired the independent review of Gladstone Harbour and was the co-chair of the independent review of the Bund Wall in Gladstone Harbour. Anthea was a deputy secretary in the federal environment portfolio and, prior to leaving the Australian Public Service in 2008, was appointed as the Interim CEO of the National Film and Sound Archive. During her public service career, she spent many years in the Department of Prime Minister and Cabinet, including five years as the head of the Cabinet Office and some years in the Treasury. Anthea has served on a number of boards and has wide experience in public policy advising and government administration. She has a Bachelor of Economics degree and was awarded a Public Service Medal in 1995 for services to the Australian Cabinet system. David Tune was Secretary of the Department of Finance from August 2009 to June 2014. In this role, he provided advice to the government on all Budget issues, as well as whole-of-government ICT policy, government property management and financial management. David has held many senior positions in the Australian Public Service, including Associate Secretary, Domestic Policy Group in the Department of the Prime Minister and Cabinet, where he was responsible for providing advice on a diverse range of domestic policy issues, including industry policy, infrastructure policy, social policy, health policy, environment policy, economic policy and fiscal policy. He was also the Australian Sherpa for the first two G20 meetings in 2008 and 2009. He began his career in the Australian Public Service in 1976 and has worked in the Departments of the Prime Minister and Cabinet, Social Security/Family and Community Services and the Treasury at Senior Executive Service levels on a range of policy matters and program management. From 1986 to 1988 he was seconded to the British Cabinet Office working in the UK Efficiency Unit. Other senior positions have included Deputy Secretary of Treasury’s Fiscal Policy Group with responsibility for providing policy advice to the Government on all issues involving expenditure. In this role, as well as in Finance and PM&C, David provided direct advice to government and the Expenditure Review Committee of Cabinet over a long period and had a leading role in the preparation of countless Budgets and other Economic Statement. David’s more recent roles include Chair of the Government's Aged Care Sector Committee (since early 2015) and Co-Chair of the Independent Review of Parliamentary Entitlements for the Commonwealth Government that reported in early 2016. He David was awarded the Public Service Medal in the 2009 Australia Day Honours List and in January 2015 became an officer in the general division of the Order of Australia for distinguished service to public administration through leadership of finance, budget and social policy initiatives, as an adviser to government, and through disaster recovery co-ordination and liaison. 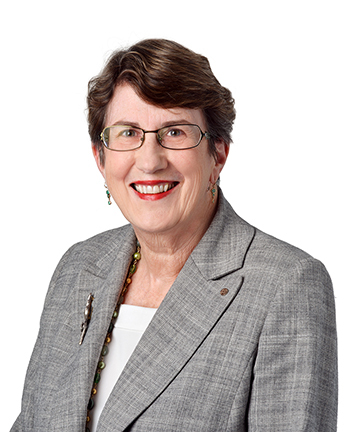 Helen served in a wide range of Commonwealth Government Departments over 40 years and is a former Secretary of five Australian Government Departments: Education and Youth Affairs, Tourism, Immigration and Multicultural Affairs, Communications, IT and the Arts, and Human Services. She also served as Australian Public Service Commissioner and Australian Parliamentary Services Commissioner, and was Head of the Commonwealth-State Relations Secretariat from 1990 to 1993. She was the first woman to be appointed as Secretary to an Australian Government Department. Helen has been a member of a number of Boards and Committees including Telstra Corporation Ltd., The Australian Postal Corporation, the Administrative Review Council, the National Library of Australia Council, the Australian Sports Commission Board, the Australia Council for the Arts, Bundanon Trust, the Migration Agents Advisory Board and the National Archives of Australia Advisory Council. She is currently a director of the Bell Shakespeare Theatre Company, a member of the Board of the Origin Foundation and serves on two government committees. Her particular interests are in the areas of public administration, governance and ethics, and the delivery of services. Helen has undertaken a number of reports for government and efficiency reviews of public service departments, and is a fellow of the Australian Institute of Management and the Australian Institute of Public Administration. She was awarded an AO for services to public administration, particularly in the areas of education and social welfare. In 2019 Helen was awarded an upgrade from an Officer of the Order of Australia to a Companion - the highest rank currently awarded in the national honours designed to recognise Australian citizens and other persons for achievement or meritorious service. Mike Woods is Professor of Health Economics at the Centre for Health Economics Research and Evaluation at the University of Technology Sydney. He holds appointments at the ANU and the University of Canberra and is a Fellow of the Royal Society of New South Wales. Mike is also currently the Independent Reviewer for an inquiry initiated by the COAG Health Council into the accreditation of the education of health professionals. Mike’s policy and research interests focus on health and aged care. Mike recently completed 16 years as Deputy Chairman of the Productivity Commission. During that period, he presided on over 20 national policy inquiries. His reports included Caring for Older Australians, Health Workforce, Science and Innovation, Drought Support, and a range of industry inquiries. Mike also led many research projects, including on deep and persistent disadvantage, social capital, structural adjustment and state owned enterprises. For 5 years Mike chaired the bilateral Fiscal Reform Implementation Committee under the China Australia Governance Program He continues to actively participate in the China Australia Dialogue on Public Administration and in economic reform in Vietnam. Prior to his time at the Commission, Mike was Under Treasurer for the ACT and a member of the national Heads of Treasuries during the economic reforms of the 1990s. Initially Mike held a range of senior appointments in the Commonwealth, ACT and Northern Territory public services. The Centre for Strategy & Governance 2016 All rights reserved.